Google, is slowly rolling out updates to its standalone apps one after the other. Last week, the search-engine giant rolled an update to its Google I/O 2017 app. 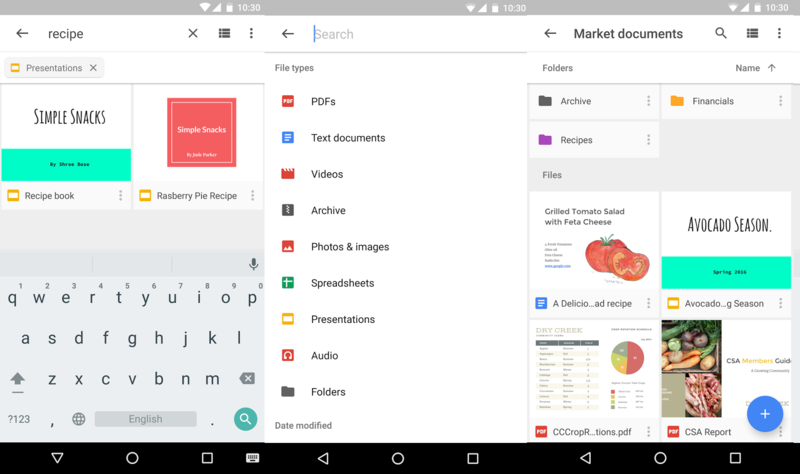 And now, the company pushed an update to the Google Drive app which is one of its most useful apps. Firstly, the update brings along support for various Android O features, obviously. In addition, it also adds several enhancements to Team Drive for Enterprises. And, as usual, there are a bunch of bug fixes alongside the regular security and performance improvements. We are only a few days away from Google’s I/O event for 2017. Speaking of which, the event will commence on May 17 and lasts until May 19. It will be held at Shoreline Amphitheater Mountain View, California. The search engine giant will be unveiling Android O alongside various other announcements at the event. Keep a tab on this space to know more details about the announcements made by the company during the Google I/O 2017 event.